There are times when if just feels right to wear a hat. But where can you go when you want a special hat or one for a special occasion? Something that makes you look and feel fabulous. Millinery Treasures is a hat studio located in Hudson, New York. Our hats are created using time honored millinery and couture techniques. Hours are mostly by appointment, so call ahead to ensure that we’re open. As a bride, you want to feel beautiful. If you’re a vintage bride perhaps you also want to have a vintage look? As a classically trained milliner and owner of Millinery Treasures, let me help you achieve this look. We’ll take the time to talk about what you want and look to vintage fashion for design inspiration. That’s why it’s vintage-inspired bridal hats and headpieces. Contact me for a free bridal consultation. There’s something so feminine about wearing a fascinator or a cocktail hat. 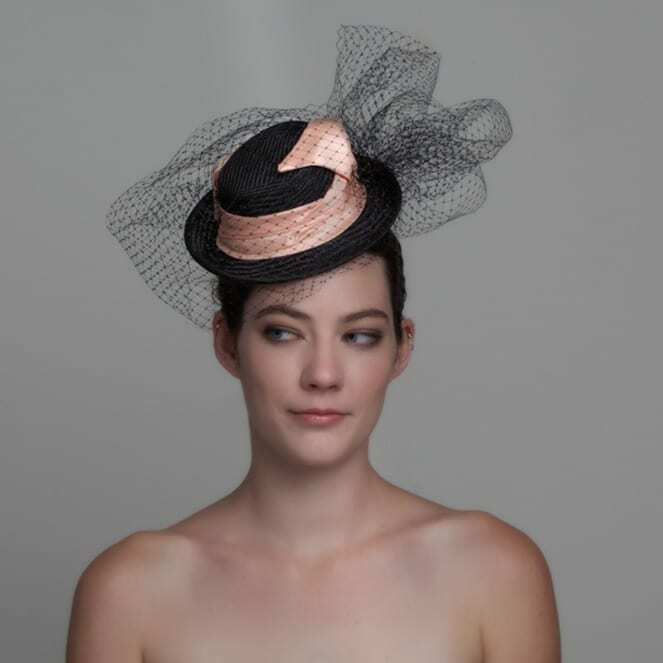 This option is perfect for those occasions when a traditional hat isn’t quite what you envisioned for the outfit. Be confident when you wear one since you’ll definitely be noticed.